The Uconnect system in Chrysler, Jeep, Dodge, and RAM vehicles uses a range of features to keep you connected on the streets of Appleton and beyond. Most models include Bluetooth connectivity, HD radio, and Apple CarPlay, while select Uconnect Jeep models like the Jeep Grand Cherokee and Jeep Cherokee feature a Uconnect rear-seat entertainment system. Explore this guide from Vande Hey Brantmeier to find out more about features like the SiriusXM Guardian, the Uconnect app, and more! How Do I Perform a Uconnect Update? The easiest way to update your Uconnect system is to visit the Uconnect update website. There you can enter your VIN number and find out if you can update your Uconnect system remotely, or if you’ll need to make a trip to the service center at Vande Hey Brantmeier. 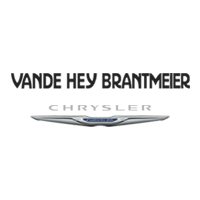 For more information, including the features of Uconnect Dodge systems, turn to Vande Hey Brantmeier. We’ll gladly take you on a guided tour of the Uconnect infotainment system, so contact us today with any questions. 0 comment(s) so far on What Is Uconnect?